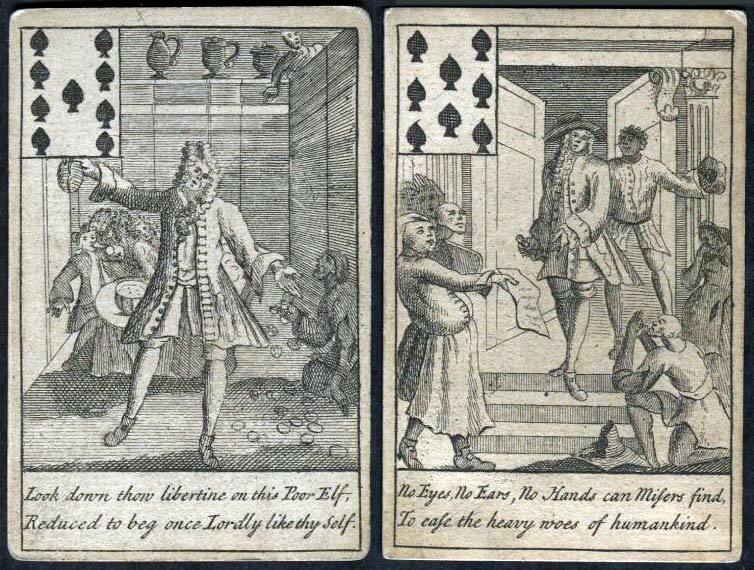 First advertised 24-26th December 1723 as follows: “Delightful Cards, containing variety of entertainment for young Ladies and Gentlemen who wil be agreeably diverted price two shillings a pack.” The cards have been described as satirical in the style of Hogarth, who was beginning to be noticed at this time and could have been involved with the design. 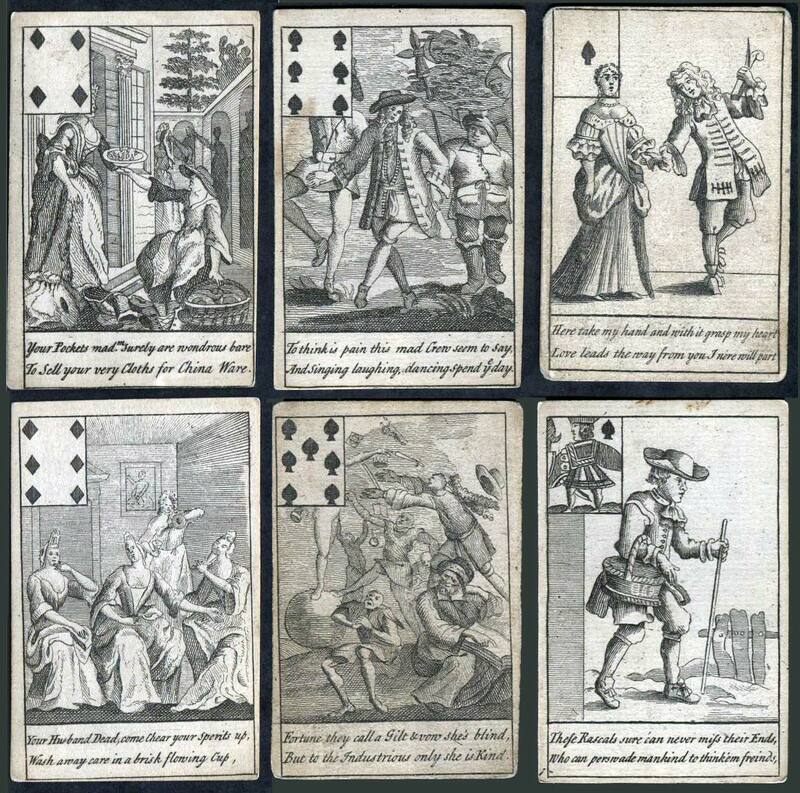 The illustrations are typical of life in the 18th century, a mixture of love, War and The Classics. 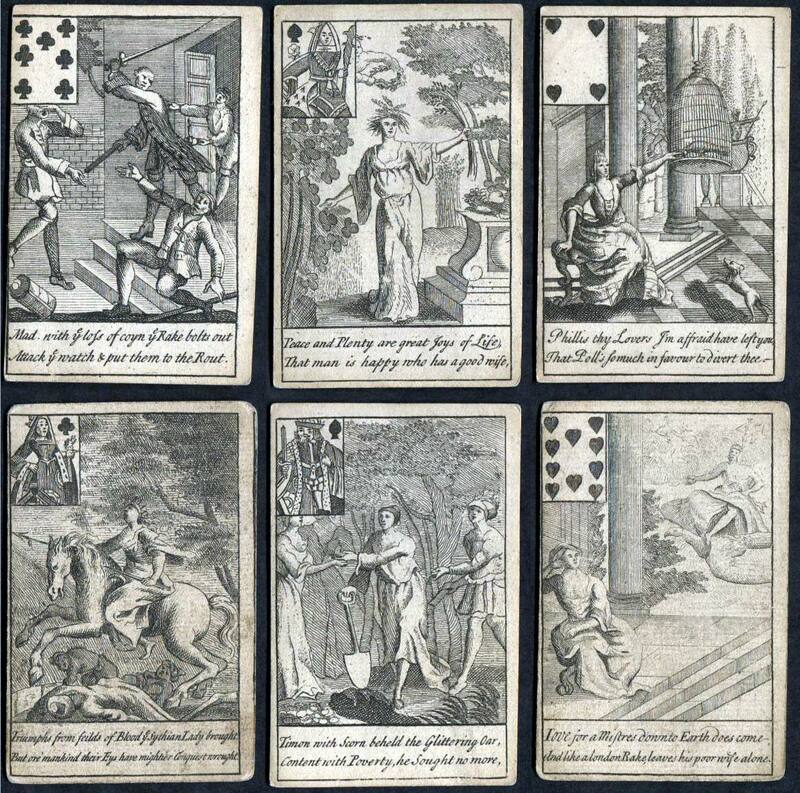 Interestingly of the 9 partial or complete packs known only two had tax stamps - which is surprising - this partial deck while containing the Ace of Spades is not tax stamped. Cards measure 3" x 2.1" - inset miniature card 0.5" x 0.75" - all approx.